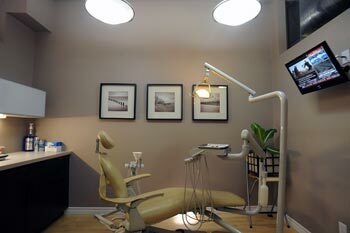 Your initial visit will begin with a comprehensive dental hygiene assessment. The dental hygienist will go through your medical history, check your head and neck for any abnormalities, screen for oral cancer, and do a thorough examination of the hard and soft tissues in your mouth, including an assessment of your oral hygiene. We have a state-of-the-art laser cavity detector which can help us determine whether a referral to a dentist is indicated. All information collected will be used by the dental hygienist to formulate a dental hygiene diagnosis which will help us discuss your goals with you and prepare a treatment plan specific to your needs. If required, you will be referred to a dentist or other healthcare provider for further examination. At subsequent appointments, your exams will be less involved, but still include important disease screening. The removal of tartar deposits (calculus) from the teeth, both above and below the gum line is called scaling or debridement. We charge this treatment in units of time. Each unit is 15 minutes of time. The amount of scaling required varies with each individual, but is often an average of 3-4 units per appointment for an adult. The removal of plaque and calculus, and ultimately bacteria, is the best way to maintain healthy teeth and gums and prevent or reverse gingivitis and periodontitis. We can also treat more advanced gum disease by providing gum therapy aimed at reducing inflammation and gum pockets. This can range from 2-4 appointments of deep cleaning and optional deep pocket irrigation with a medicated solution, and follow-up appointments at regular intervals. An in-office fluoride treatment will be offered to you if you have a history of decay or sensitive teeth. Fluoride aids in the prevention of decay as well as sensitivity by strengthening the enamel of the teeth and aiding in the re-mineralization process. If you prefer to avoid fluoride, we can provide you with a xylitol rinse to use at home. Xylitol is a crystalline carbohydrate derived from plants which prevents bacteria from adhering to the tooth structure thereby reducing acid production in the mouth. It is a natural, safe and effective way to fight decay and inflammation in the mouth. It can also help to naturally increase salivary flow for people who sruggle with dry mouth (xerostomia). Pit and fissure sealants are a great way to prevent decay from developing in the chewing surfaces of the teeth. A BPA-free coating seals up the grooves of the teeth, preventing bacteria from entering and starting the decay process. Sealants are particularly important as a preventive tool for decay in children with newly erupted molars, although anytime is a good time to prevent decay. 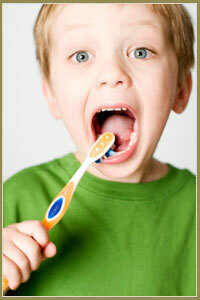 If the tooth does not yet have a cavity or filling then a sealant can be placed. We make custom sports mouthguards for all ages. Mouthguards worn during sporting activities are extremely effective at preventing injury and trauma to the soft tissues of the mouth, the teeth and the jaw.